UDECIDE is exploring our capacity to predict climate impacts over decadal timescales and effectively integrate this predictive capacity with societal planning. A new branch of climate science, known as decadal prediction, seeks to predict the time-varying trajectory of climate and not just the long-term trend over the next 5-30 years, as depicted in Fig. 1. UDECIDE is formulating these predictions in decision relevant terms to support planning and design for future hazards. 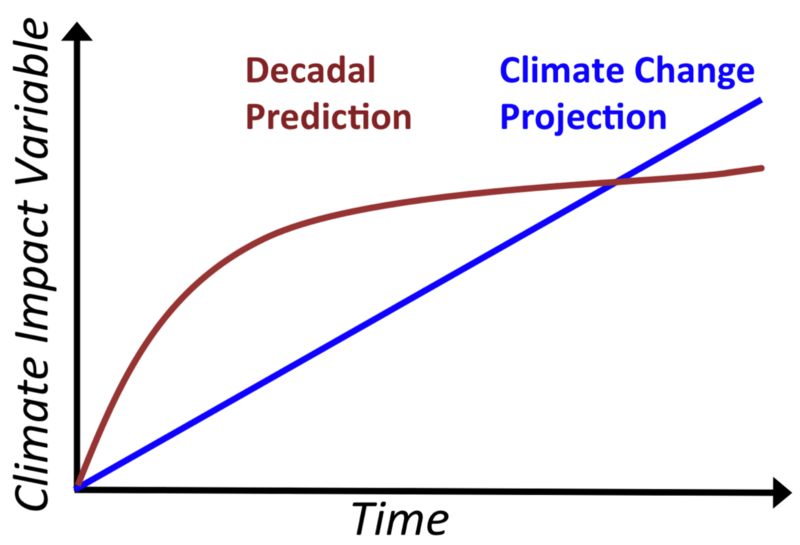 Figure 1: Schematic contrasting a decadal prediction of the time-varying trajectory of climate impacts with a projection of a climate trend. UDECIDE focuses on two high-impact hazards driven largely by extreme precipitation: flood and drought. Indepth case studies provide a project focus. Build predictive capacity of the needed information by combining our developing dynamical modeling capability with observed data via advanced statistical models. Specifically, prototype presentations of decadal climate impacts will be assessed and an iterative process between information needs and information provision (Fig. 2) will then guide the effective integration of skillful predictive information with decision-making. Transform how scientists from multiple disciplines and practitioners conceptualize decadal climate prediction. Figure 2: The integration of top-down and bottom-up approaches to inform climate-related decision-making. The overarching project goal to align the information needs with information provision will be met through continuous iteration between the impact prediction and the information need and usage by the decision maker within the decision space. Figure adapted from Dessai and Hulme (2004). 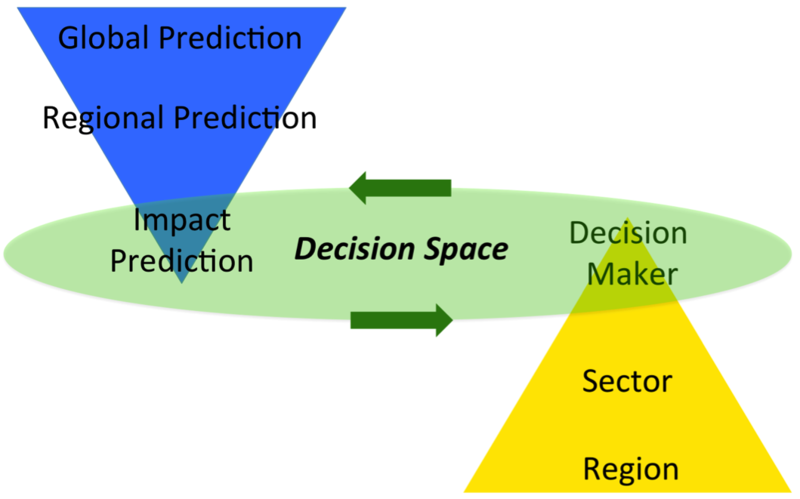 A key outcome of UDECIDE is a prototype generalized interdisciplinary research framework to integrate predictive capacity with decision-making. UDECIDE is funded by the National Science Foundation's Decadal and Regional Climate Prediction using Earth System Models (EaSM-3) grants AGS-1419563, AGS-1419558 and AGS-1419504. UDECIDE supports the vision of NCAR’s Engineering for Climate Extremes Partnership to strengthen societal resilience to weather and climate extremes. Step One: Is the decision-relevant variable related to where decadal predictions are skillful? Carlsbad, New Mexico (Fig. 1) was identified as a location that has correlation between local summer maximum rainfall and the Atlantic Multi-decadal Oscillation (AMO) and also has high quality long records. A tailored Sea Surface Temperature (SST) 'box' was identified over the North Atlantic that has decadal prediction skill and correlates well with Carlsbad maximum rainfall. Step Two: Develop a statistical model that derives the decision-relevant variable conditioned on skillful prediction. Generalized extreme value theory was used to model summer maximum rainfall on the AMO. Using the AMO as a covariate changes the likelihood of exceeding Q95 from 4.2% (based on climatology) to a range of 2.3% to 7% (Fig. 2). Step Three: Apply the statistical model to the archive of available decadal hindcasts. 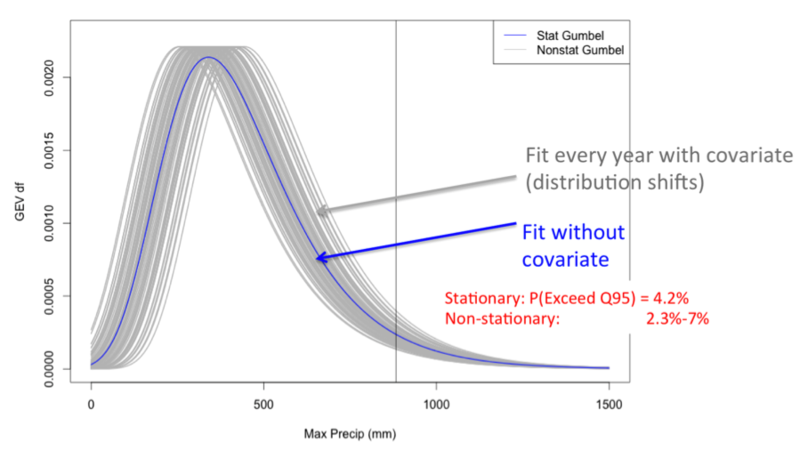 The predicted rainfall distributions using the observed covariate and the hindcast covariate will be compared. Step Four: Evaluate the prediction of the decision-relevant variable by analyzing the results of step three and applying objective and subjective metrics. Iterate with stakeholders on the presentation of the prediction. 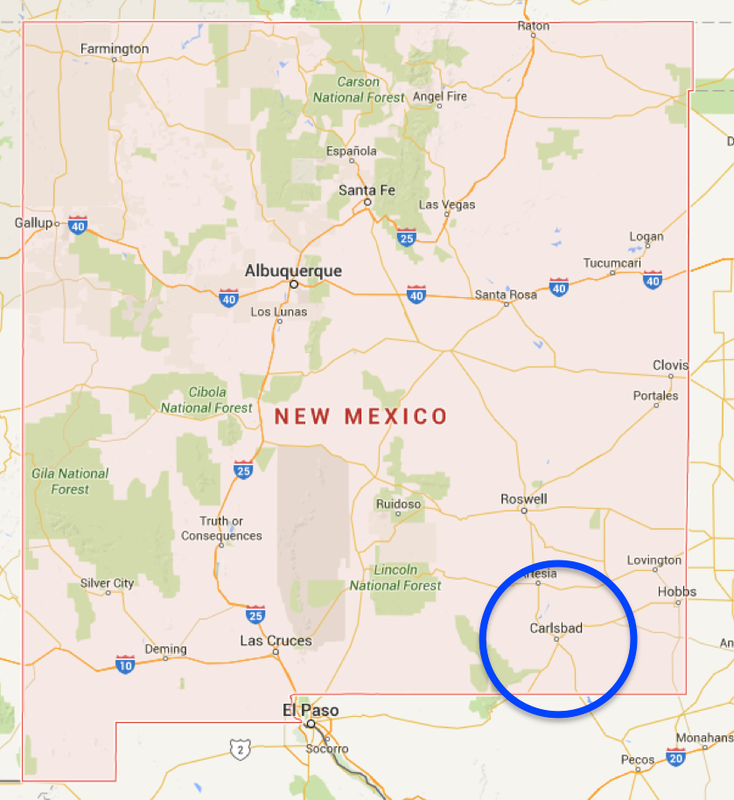 Figure 1: Location of Carlsbad, New Mexico. Figure 2: Gumbel fits to distributions of observed maximum summer rainfall at Carlsbad, new Mexico for climatology (blue line) and with AMO as a covariate (grey lines). This four-step framework will be used to inform the project case studies. A number of potential case studies for flood and drought have been identified. The cases are being chosen based on the relevance of decadal flood and drought impact information, the availability of stakeholders for interactions, and entry points for this project into ongoing projects of our industry partner CH2M, an engineering consultancy.